Durdham Down Tower is known to generations of Bristolians simply as the Water Tower. Built in 1954 for Bristol Water it stands at the highest point for miles around and is due for a major overhaul later this year. gcp has been appointed to design and co-ordinate the refurbishment which comprises extensive concrete repairs externally and lining internally as well as reroofing, improving access and safety for routine maintenance. A substantial amount of telecoms equipment will be relocated to scaffold during the works which will last 16 weeks and complete by November. This is the latest of a number of projects gcp has carried out for Bristol Water over the last twenty-five years. 2018 Recap & Merry Christmas ! 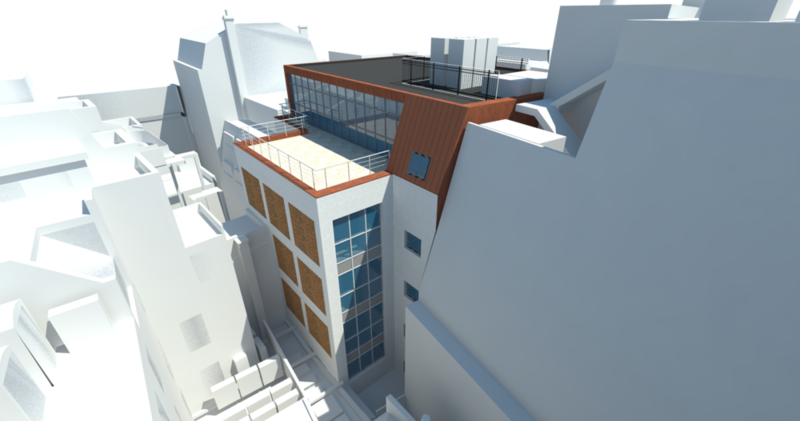 During 2018, gcp has been continuing to work with Courtenay Investments on the strip back to shell refurbishment and extension of their 1950’s office block in Holborn, Central London. Enabling works are now complete and construction work proper will commence in Q1 2019. 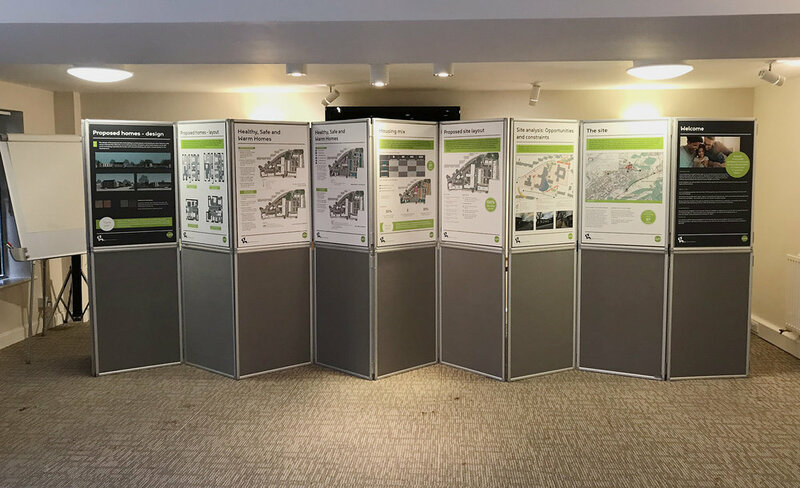 Four schemes have been progressing in Lawrence Weston in North West Bristol with ongoing design work for Ambition Lawrence Weston, Pioneer Medical Group and Bristol City Council to try and bring the vision of a community hub building to fruition. We are also working with social landlord Curo at Henacre Road and Corbett Close. The 128 home scheme at Henacre Road will be on site by Easter next year following a painstaking search for any unexploded ordnance scheduled for the New Year. The fourth scheme is for Bristol City Council to the rear of the Ridingleaze shops where we will have designed nine houses for social rent. 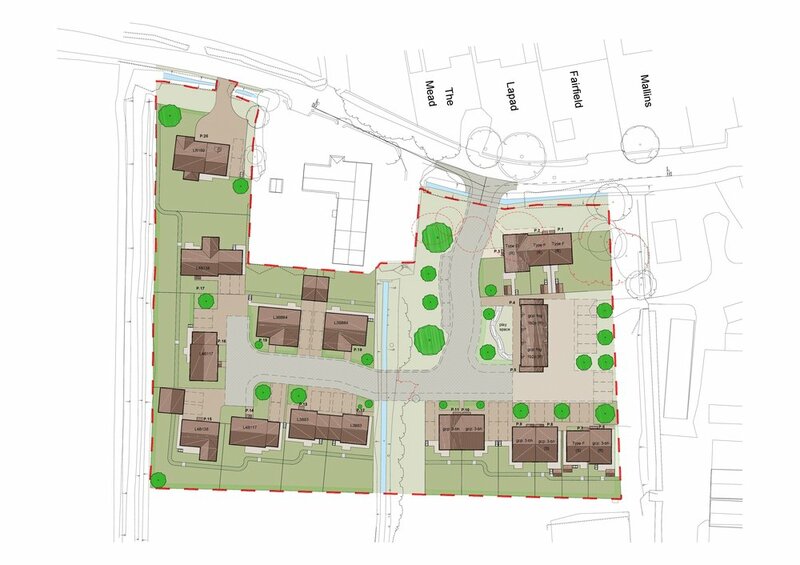 We have also been working on an inner-city housing scheme for Acorn Property Group at Brooks Dye Works in St. Werburghs, Bristol (106 units) and large rural schemes for Lindon Homes near Long Ashton (103 units for phase 1) and Stonewater at Northwick Farm near Worcester (62 units). 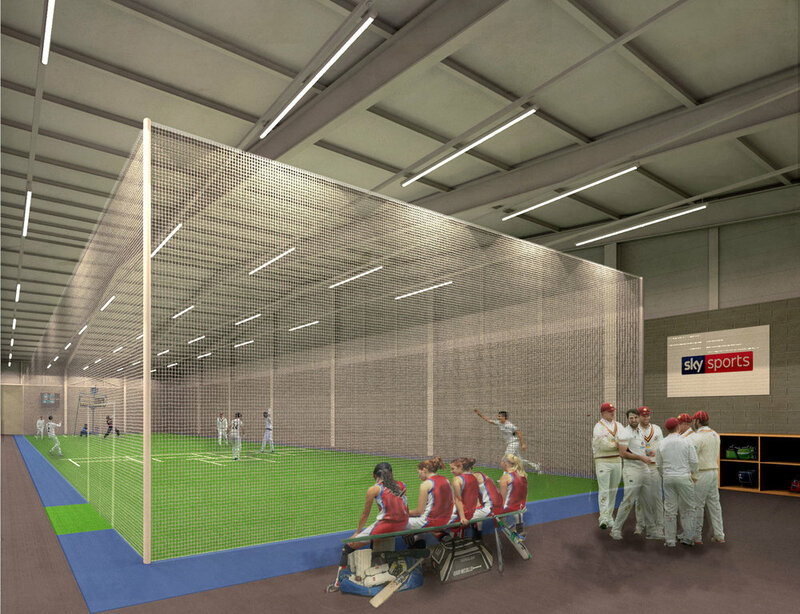 The England and Wales Cricket Board (ECB) has been working with us on the development of their Urban Cricket Centre Concept, designed to bring playing opportunities to some of the most deprived post codes across East London, Birmingham and Bradford. The opening of the first site in East London is scheduled to coincide with the Cricket World Cup 2019. Halsall Construction continue to be a great supporter with design for projects completed at Silver Street in Willand and Station Road in Castle Carey. In Swindon we have been working with the football club’s community trust to bring about the construction of a new pavilion building to support their new artificial turf pitch at the County Ground site. 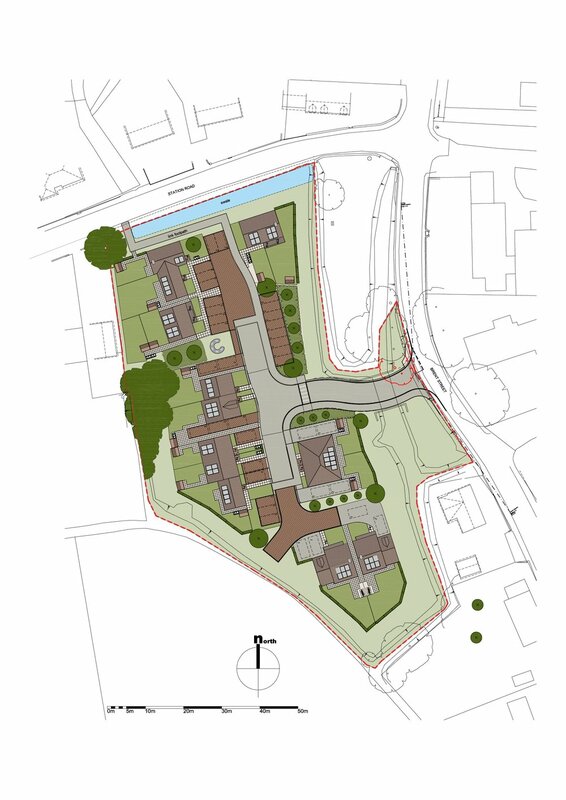 In Malvern we have just secured planning consent for fourteen homes for c-t-s Construction and Broadway Heritage Ltd on the edge of a local conservation area in the grounds of a former convent. It only remains for me on behalf of the Directors to express our warmest thanks to the staff, clients and fellow consultants who have made 2018 the most successful in our now 31 year history! Happy Christmas and a peaceful New Year to you all. A feasibility study to explore potential redevelopment options for the David Murray John Building, an iconic 21 storey 1970’s tower block in the centre of Swindon situated above the Brunel Shopping Centre. 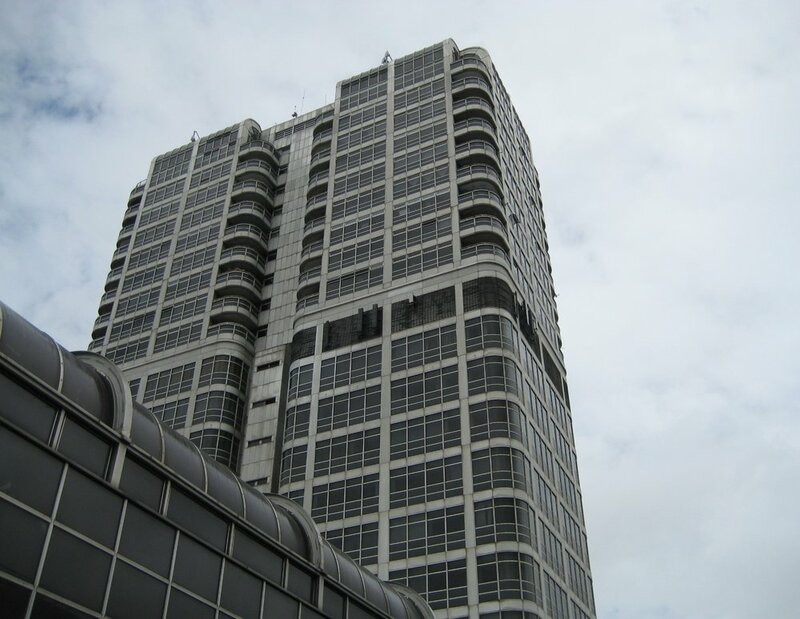 Known as the Number One Wonder of Swindon, originally designed and built by the local authority, the building has over 3,500 sq metres of office accommodation on floors 2 to 13 and 72 flats from floors 14 to 21 flats. The office accommodation has been vacant for several years, the cladding has come to the end of its economic life and the services installations needs a major overhaul. The study investigates a range of interventions including complete recladding and a wide range of alternative uses. The report sits with the council awaiting further instruction. J3 up for placemaking award! The ground breaking J3 housing led mixed use development on the edge of Bristol has made the shortlist for the prestigious Academy of Urbanism Awards 2018. J3 has been shortlisted in The Great Neighbourhood category alongside some truly internationally recognised schemes such as the Byker Wall in Newcastle, The Barbican in London and Park Hill flats in Sheffield. Look out for the announcement of the finalists to be made on April 26th and final awards to be made at the Awards Ceremony on 8th November in London. J3 is a partnership scheme between the principal partners, Knightstone Housing Association and Bristol City Council. gcp acted as the catalyst for the scheme, bring the development forwarded by brokering the partnership between the founding partners and devising a delivery mechanism that could cope with the complex funding cocktail required. gcp Chartered Architects would like to congratulate Rydon Construction on the successful completion of Cat A+works at 155 Aztec West, Bristol. The project was managed by BNP Paribas Real Estate for the institutional owner. The project involved replacement of all windows and mechanical and electrical services as well as the introduction of a new shower area. The entrance has been greatly enhanced with the addition of a new entrance lobby extension with a new boardroom at first floor. The Architecture Centre is celebrating 20 years of people and places in Bristol with their exhibition running between 9 September & 13 November 2016. Three projects we have been involved in feature in this exhibit: Trinity, J3 and Filwood Green. Beautiful images taken by Frances Gard, check out her website or follow her on twitter. #HealthyBristol: another great event ! Another busy morning discussing #health #wellbeing and #productivity in the workplace. Delighted to be able to hold this in the recently completed Bristol Water HQ. Such an inspiring place and right-on message for this seminar ! We've had a great time participating in Healthy City Week 2016 - a roundup of the weeks' events written by our very own James Pilling to follow soon. Follow Bristol Green Capital on Twitter. gcp are delighted that the recently completed scheme to extend and refurbish Bristol Water’s 1960’s Headquarters Building at Bedminster Down has won an RICS Award. At the ceremony on 18 May 2016 the building was highly commended in the Commercial Buildings Category. 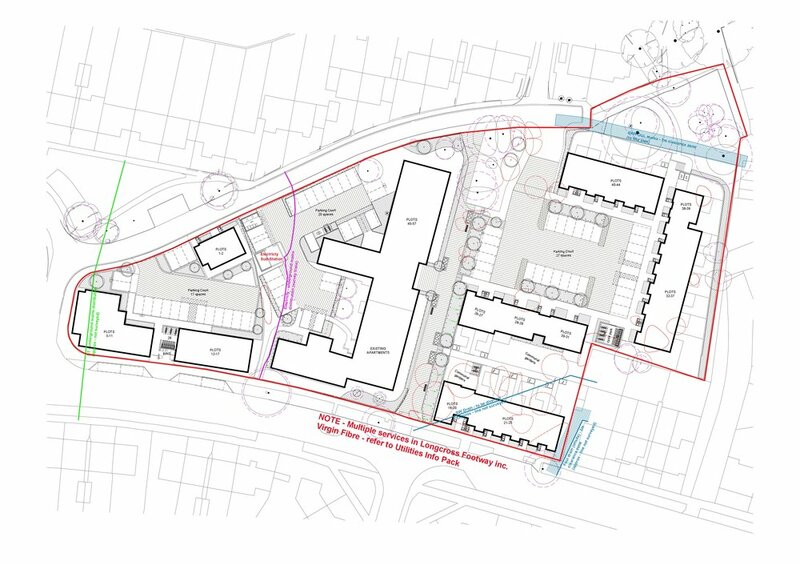 gcp is currently involved in a feasibility on a very similar project in central Bristol where a scheme double the size of the building to accommodate 650 staff is being considered. To discuss your office refurbishment project, please contact Jeremy Pilling. Just last night Bristol Water Headquarters was Highly Commended in the Commercial category of the RICS awards 2016. This award honours an outstanding commercial property development whether retail, office, leisure, industrial or mixed use. It furthers gcp's accolades at this event - J3 was winner in the Regeneration category last year. Bristol Water Headquarters nominated for BCO award ! We are really excited to announce that gcp's extension and refurbishment of the iconic Bristol Water Headquarters building has been nominated for a British Council for Offices Regional Award! The winner will be announced later this week at the Regional Awards Ceremony. The three-year project to refurbish and extend the Bristol Water headquarters at Bedminster Down is now finished. Bristol Water wanted to rationalise its building stock by disposing of the Bedminster Down Depot site and relocating around 150 staff to its head office. gcp initially prepared a feasibility for the project and, with staff in-situ, the iconic 1936 structure was over-clad and re-roofed before a two-storey wing was added, supported on tapering columns over the rear car park. This enabled a progressive decanting process so that the entire building could be re-serviced and re-furbished without the need for temporary accommodation. The upgraded facility boasts a new atrium café, computer suite and reception area as well as redesigned open-plan office accommodation with flexible workplace settings. Thomas Vale Construction (now part of Bouygues-uk) carried out the construction works. gcp were architects for Bristol Water throughout the design phase of the project and architects for the contractor during construction. Filwood Green Business Park is a flagship project for Bristol as European Green Capital 2015. It provides a new sustainable home for small and medium sized businesses, with 40,000 sq ft of workshop and office space. Since completion earlier this year, the BREEAM ‘Oustanding’ Filwood Green Business Park has won the 2degrees ‘Best New Building’ award 2015 and the Bristol Post's 'Eco Green Building' award. gcp were appointed architects for the construction stages of this project by Midas Construction Ltd. The £12M Green Business Park achieves the first-ever BREEAM ‘Outstanding’ rating for an industrial building in the South West. This state-of-the-art resource is designed to boost economic prosperity in this part of the city. Built for the community, it complements other local facilities in Filwood and Hengrove. It was officially opened by Mayor of Bristol George Ferguson in a colourful ceremony in May this year. For more information on gcp's commercial experience please contact Jeremy Pilling. gcp have discovered our very own spot on the Monopoly board. Junction 3 Library sits in the prestigious Park Lane square on the board. More accolades for Junction 3! The RICS has recognised the project with its SW Regional Award for 2015.